Patong Beach is considered as the largest and most famous beach in the Island of Phuket. The stunning natural wonders from this Island boast it all! It is not surprising that most of the people worldwide want to visit Phuket and experience their famous beaches. There are many reasons why this the right place for you if you are looking for excellent fun and great lifetime experience. Yes there are many beaches in the Island however this particular beach has its own unique characteristics wherein most people fall in love with it. One of the services that Patong Beach can offer you is a very joyful nightlife. 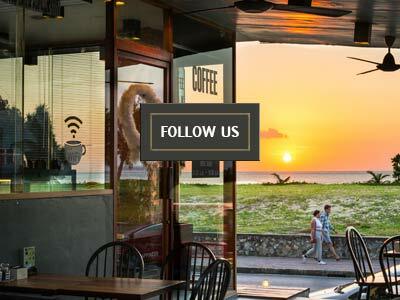 This popular beach in Phuket is not only meant for the water sports activities rather you can also enjoy and witness the night life in this Island. You can check out the Bangla Road for different choices of Patong Beach Bars, clubs and disco houses. Here in Patong Beach you can hop from one bar to another because they are seen next from each other. Patong Beach bars can offer you the most enjoyable night in your life and endless opportunities. 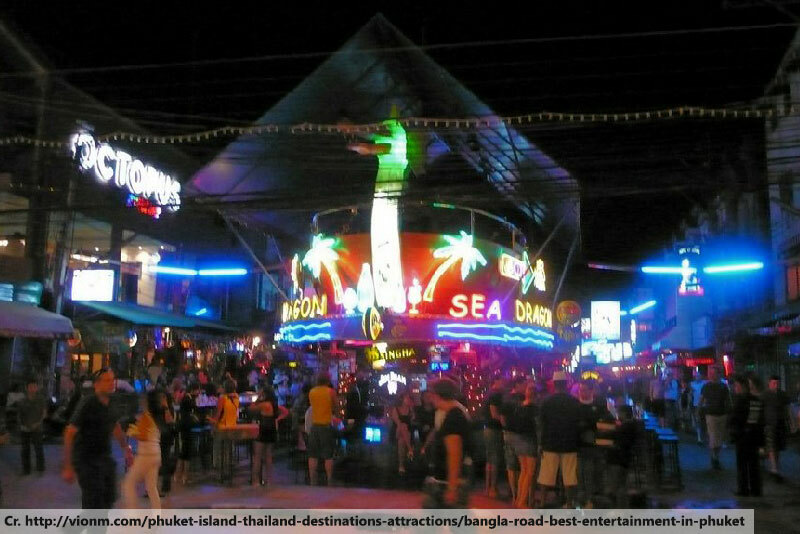 In Patong’s nightlife they will never fail to attract visitors during night time. 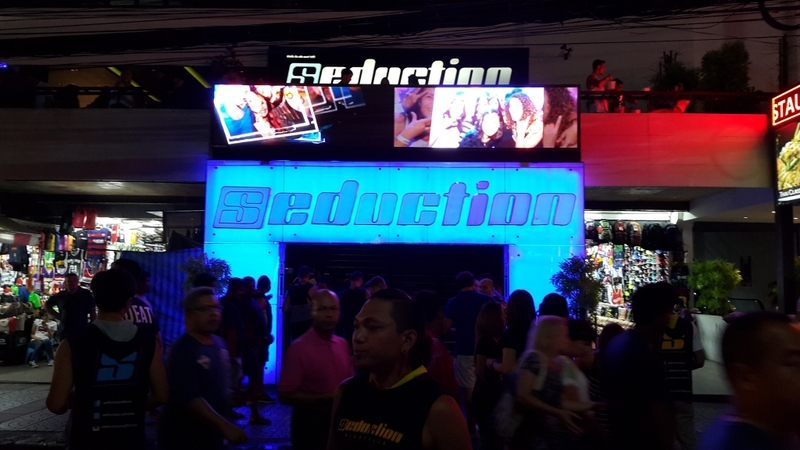 It is like a magnet that is very hard to resist the wander down of Soi Bongla wherein the heart of the Patong Beach bars scene are girls and music that can compete on your attention. There are hundreds of bars, clubs, live music bars, popular Go Go bars, and popular night spots that can be found in Patong. 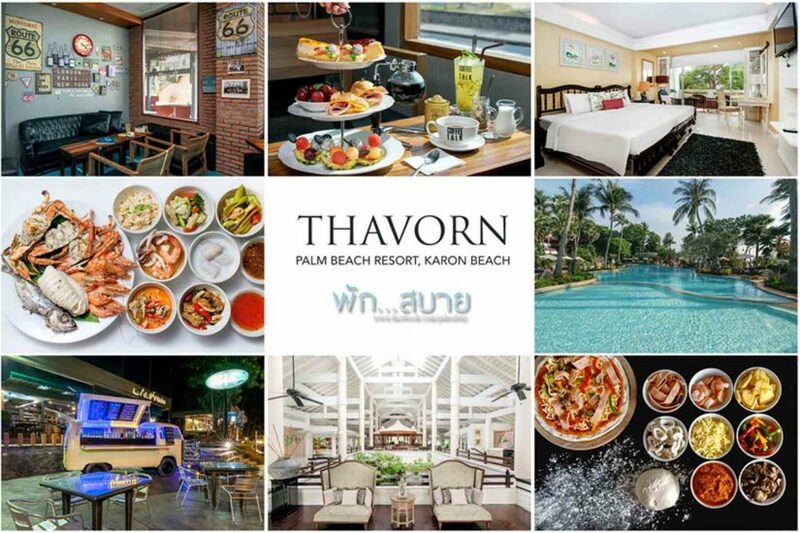 This place in Patong has one top priority which is provide a good time to the new visitors. Aside from Bangla Road, there are interesting night spots in two main strips and these are the Rat-U-Thit Road and Thaweewong Road which is the former hosting Paradise Complex. 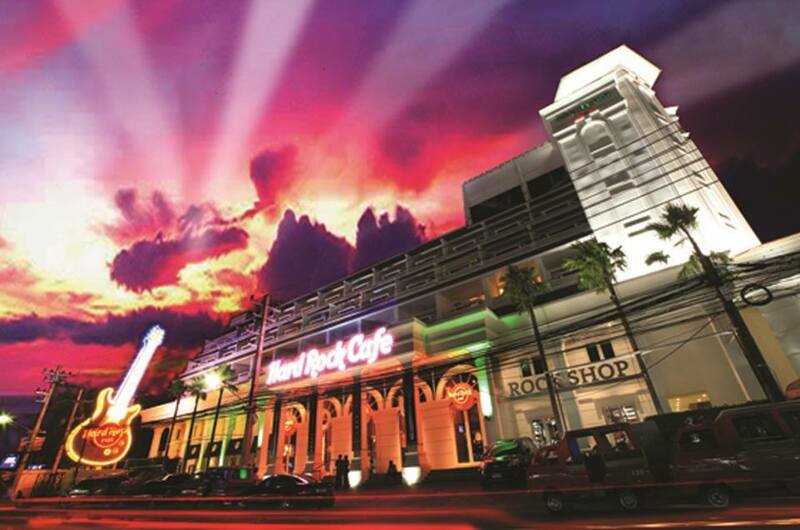 These are the centers of the gay nightlife scene, international brand venues like Hard Rock Café. 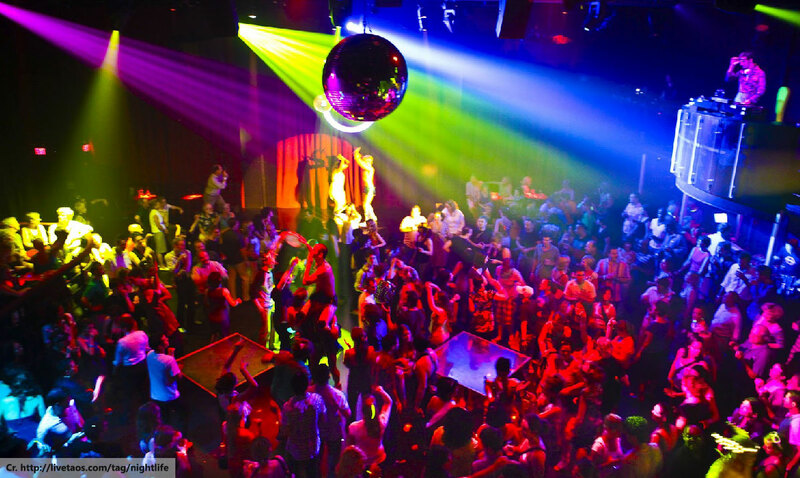 It is one of the hottest places when it comes to Patong nightlife scene. As you visit Soi Sea Dragon you will find 46 bars, go-go bars, beer bars, souvenir shop, tattoo parlor, guesthouse and hairdresser. This place provides spectacular fun and originality, explosion of colors and considers as one of the Southeast Asia’s outstanding entertainment attractions in the world. They provide a show that has best choreography with fabulous set up and costumes. One of the largest nightspot in Patong Beach where they allow all the party goers to really enjoy their selves from 6pm up to 4am. It delivers great music, rock n roll merchandising, and Tex-Mex delicacies and memorabilia collection. It is the true home for those who really love rock music western food. 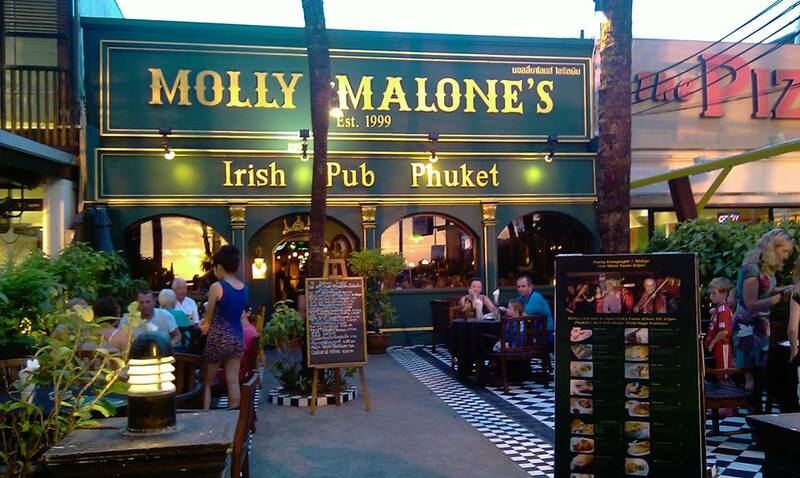 Molly Malone’s Irish Pub It is one of the longest pubs in Phuket that offers affordable and classy establishments. They have wide range of entertainment with quality pub grub and drinks in stylish and classic Gaelic décor with friendly and warm environment. Most of the Patong Beach Bars can offer you great deal of entertainment but it just up to you which one will suit you according to your choice.